Eureka Entertainment are teaming up with Scalarama once more to offer special September Scalarama disconts on some of their recent releases, including new restorations of films from Fritz Lang and Buster Keaton, and recent Spansih film The Olive Tree by Iciar Bollain and written by Paul Lavery (I, Daniel Blake). #directedbywomen. Get in touch with Steve Hills on theatrical@eurekavideo.co.uk and quote SCALARAMA to access the special discounts. Alma works on her family’s farm. Like many young Spaniards’, her future is being shaped by the country’s devastating economic crisis – as is her relationship to the past. To make ends meet, her father has been selling some of their most ancient olive trees to foreign buyers. For Alma’s grandfather, whose olive groves have been his life’s work, his pride and a vital connection to family tradition, the loss of one particular, two-thousand-year-old tree, proved too much. He has not uttered a word since and refuses to eat. Buster Keaton/ Clyde Bruckman | 1926 | USA | 79 min. Set during the Civil War and based on a true incident, the film is also an authentic-looking period piece that brings the scope and realism of Matthew Brady-like images to brilliant life. Keaton portrays engineer Johnnie Gray, rejected by the Confederate Army and thought a coward by his girlfriend (Marion Mack). When a band of Union soldiers penetrate Confederate lines to steal his locomotive, Johnnie Gray sets off in pursuit. 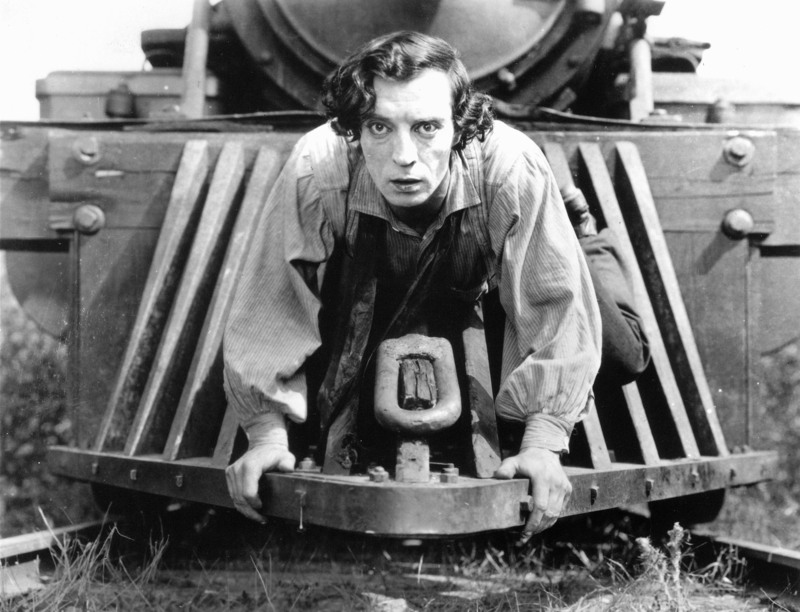 Seven of the film’s eight reels are devoted to the chase, featuring hilarious comedy and amazing stunts performed by Keaton himself. Featuring an original score by acclaimed conductor Carl Davis. Buster plays a movie projectionist who daydreams himself into the movies he is showing and merges with the figures and the backgrounds on the screen. While dreaming he is Conan Doyle’s master detective, he snoops out brilliant discoveries. The son of a steamboat captain, Buster falls in love with the daughter of a rival steamboat owner. When a cyclone rages, Buster proves himself a hero by rescuing his love and her father from a watery grave. 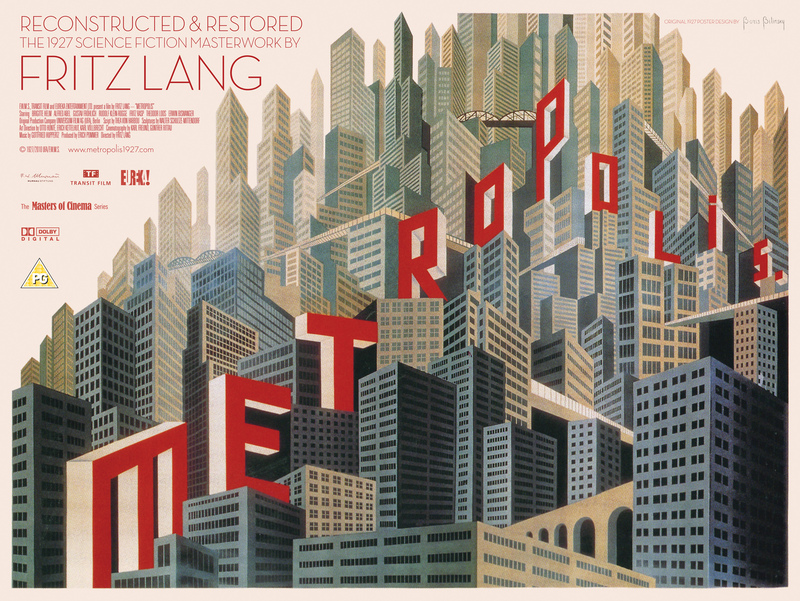 With its dizzying depiction of a futuristic cityscape and alluring female robot, Metropolis is among the most famous of all German films and the mother of sci-fi cinema (an influence on Blade Runner and Star Wars, among countless other films). Directed by the legendary Fritz Lang (M, Das Testament des Dr. Mabuse,The Big Heat, etc. ), its jaw-dropping production values, iconic imagery, and modernist grandeur – it was described by Luis Buñuel as “a captivating symphony of movement” – remain as powerful as ever. A “Holy Grail” among film finds, Metropolis is presented here in its reconstructed and restored version, as lavish and spectacular as ever thanks to the painstaking archival work of the Friedrich-Wilhelm-Murnau-Stiftung and the discovery of 25 minutes of footage until recently thought lost to the world. 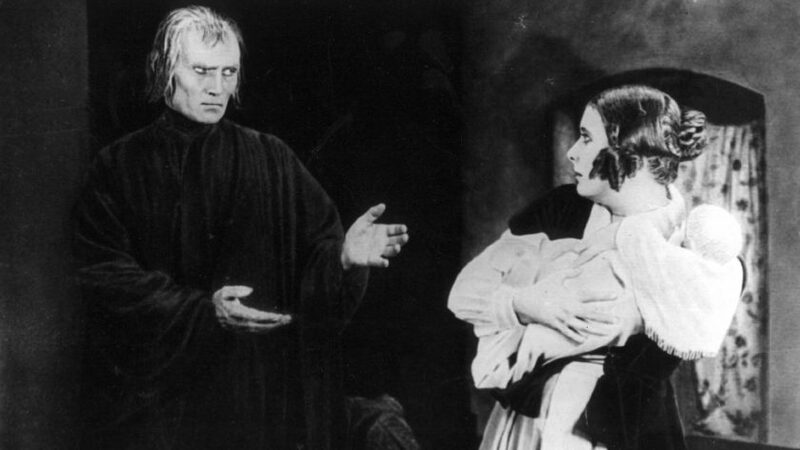 Lang’s enduring epic can be seen as the director originally intended, and as seen by German cinema-goers in 1927. Accompanied by a newly-composed score by Cornelius Schwehr as a commissioned composition by ZDF / ARTE performed by the 70-member Berlin Rundfunk Symphony Orchestra under the direction of conductor Frank Strobel.